Definition at line 4733 of file CCopasiXMLParser.h. Definition at line 4740 of file CCopasiXMLParser.h. Definition at line 12597 of file CCopasiXMLParser.cpp. Definition at line 12602 of file CCopasiXMLParser.cpp. Definition at line 12862 of file CCopasiXMLParser.cpp. References CLText::ANCHOR_START, CLText::ANCHOR_TOP, CCopasiMessage::EXCEPTION, CCopasiObject::getObjectParent(), CLGroup::isSetEndHead(), CLGraphicalPrimitive2D::isSetFill(), CLGraphicalPrimitive2D::isSetFillRule(), CLGroup::isSetFontFamily(), CLGroup::isSetFontStyle(), CLGroup::isSetFontWeight(), CLGroup::isSetStartHead(), CLGraphicalPrimitive1D::isSetStroke(), CLGraphicalPrimitive1D::isSetStrokeWidth(), CLGroup::isSetTextAnchor(), CLGroup::isSetVTextAnchor(), CCopasiXMLParser::mCommon, MCXML, CExpatTemplate< CExpat >::mParser, CLGraphicalPrimitive2D::NONZERO, SCopasiXMLParserCommon::pGroup, CLGroup::setEndHead(), CLGraphicalPrimitive2D::setFillColor(), CLGraphicalPrimitive2D::setFillRule(), CLGroup::setFontFamily(), CLGroup::setFontStyle(), CLGroup::setFontWeight(), CLGroup::setStartHead(), CLGraphicalPrimitive1D::setStroke(), CLGraphicalPrimitive1D::setStrokeWidth(), CLGroup::setTextAnchor(), CLGroup::setVTextAnchor(), START_ELEMENT, CLText::STYLE_NORMAL, UNKNOWN_ELEMENT, and CLText::WEIGHT_NORMAL. 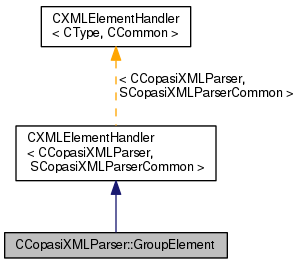 Definition at line 12607 of file CCopasiXMLParser.cpp. 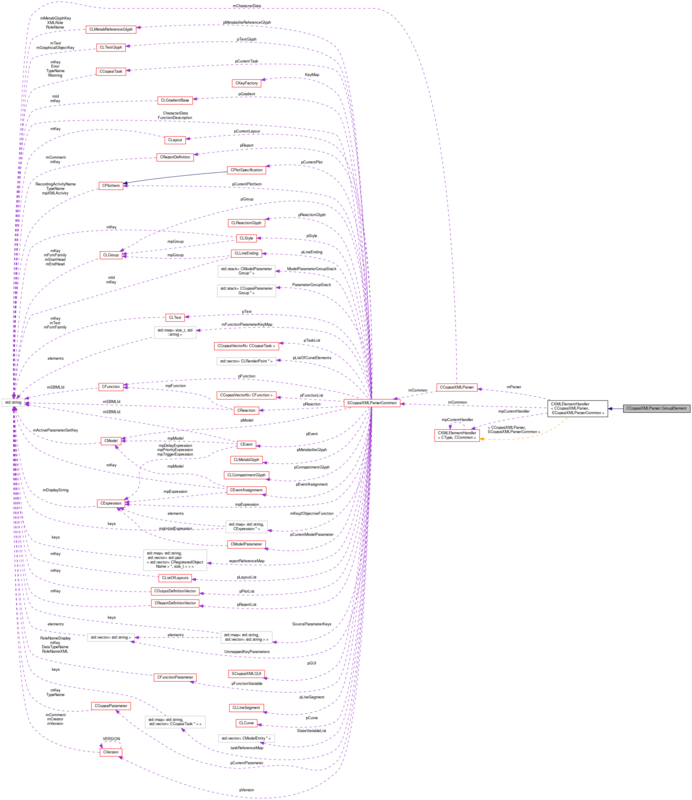 References CLGroup::addChildElement(), CLText::ANCHOR_BOTTOM, CLText::ANCHOR_END, CLText::ANCHOR_MIDDLE, CLText::ANCHOR_START, CLText::ANCHOR_TOP, CLGraphicalPrimitive2D::EVENODD, CCopasiMessage::EXCEPTION, CLGroup::getElement(), CLStyle::getGroup(), CLLineEnding::getGroup(), CLGroup::getNumElements(), CLGraphicalPrimitive2D::INHERIT, CCopasiXMLParser::mCommon, MCXML, CExpatTemplate< CExpat >::mParser, CLGraphicalPrimitive2D::NONZERO, CLGraphicalPrimitive1D::parseDashArray(), CLTransformation2D::parseTransformation(), SCopasiXMLParserCommon::pGroup, SCopasiXMLParserCommon::pLineEnding, SCopasiXMLParserCommon::pStyle, CLGroup::setEndHead(), CLGraphicalPrimitive2D::setFillColor(), CLGraphicalPrimitive2D::setFillRule(), CLGroup::setFontFamily(), CLGroup::setFontSize(), CLGroup::setFontStyle(), CLGroup::setFontWeight(), CLStyle::setGroup(), CLLineEnding::setGroup(), CLGroup::setStartHead(), CLGraphicalPrimitive1D::setStroke(), CLGraphicalPrimitive1D::setStrokeWidth(), CLGroup::setTextAnchor(), CLGroup::setVTextAnchor(), strToDouble(), CLText::STYLE_ITALIC, CLText::STYLE_NORMAL, UNKNOWN_ELEMENT, CLText::WEIGHT_BOLD, and CLText::WEIGHT_NORMAL. 12611 // TODO This will not work for groups, since the order of children is not fixed.